Quality is built into every step of our process to ensure that your high-standards are met. From our management to our machinists to our outside suppliers, everyone involved with your job is committed to meeting and exceeding your expectations. We back this commitment with the best personnel, CNC multitasking and screw machine parts equipment, and quality assurance system available. At Roberts Automatic, the quality of your parts is guaranteed because it's planned into the production process. Quality is the foundation of our business and begins with clear communication between our customers and internal teams. Our contract review process ensures that we have all the information needed to produce your part right the first time. Every aspect of production is carefully planned during our new part review meetings. We develop a written plan with exact steps as to how quality will be verified throughout the production process. Our zero-defect approach means that no out-of-specification parts are acceptable. First article inspection ensures that process capability is met at the start of each production sequence. Highly skilled machinists are responsible for the quality of the parts they produce. The computerized gauge control system ensures that all inspection equipment is traceable to the National Bureau of Standards. 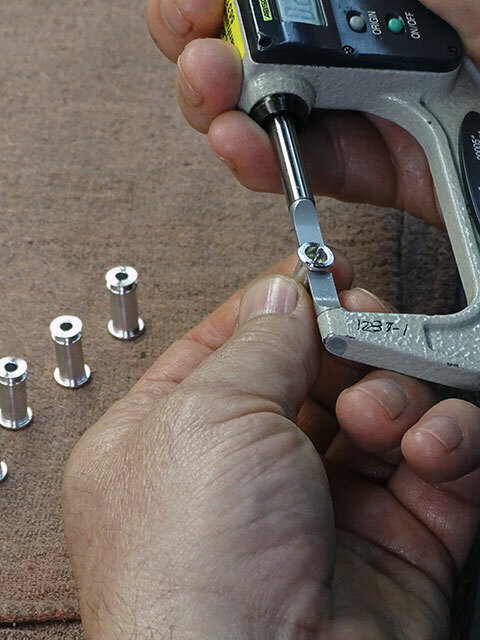 Dimensions on parts are continually monitored. Statistical techniques, supported by our Micronite system are used on critical dimensions. Our Zeiss CMM and Oasis optical profile inspection system allow us to be able to inspect everything we make. High quality parts delivered on time. This is our commitment to our customers and another reason we say; "The difference is our attitude!"